OPPO has been teasing about its upcoming ‘Futuristic Flagship’ smartphone, Find X. 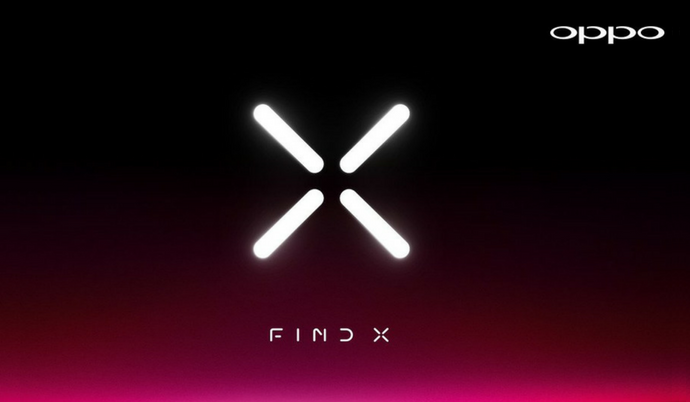 Today, the company has officially confirmed to launch Find X on June 19th in Paris, France. As of now, there isn’t much information about the device. The Find series has introduced several features for the first time in the OPPO lineup. Now, the new OPPO Find X might introduce next-gen features in the camera and battery departments. The latest news also suggests the company to launch the Find N and Find S smartphones alongside the Find X smartphone. While there is no official confirmation about the Find N and Find S smartphones, the trademarks for both these names are now registered. Last week, Xiaomi launched the first Android smartphone with Face ID technology. OPPO is also expected to introduced similar 3D facial recognition technology with the Find X smartphone. The company had been working on the Super VOOC Flash Charge technology. It was first announced at the MWC 2016 and is mentioned to fully charge the smartphone equipped with a 2,500mAh battery in just 15 minutes. There are chances for the inclusion of 5x optical zoom for the rear cameras and in-display fingerprint sensor. It should be coming with the latest Android 8.1 Oreo-based Color OS. Just before the OPPO Find X launch, Vivo will be unveiling the Vivo NEX smartphone with a true bezel-less display. It comes with Snapdragon 845 Mobile Platform coupled with 8GB RAM and 256GB of internal storage. The highlight of the device will be the pop-up camera for capturing selfies and an in-display fingerprint sensor that might occupy the bottom half of the display. 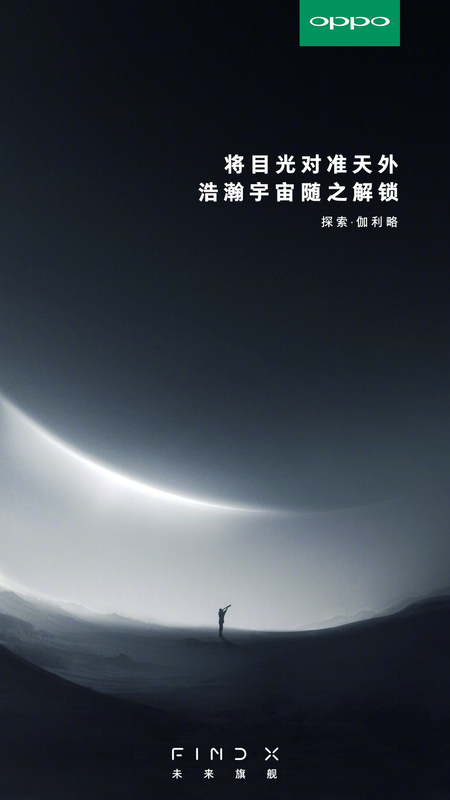 Earlier today, OPPO has posted a new teaser image of the upcoming OPPO Find X smartphone on its Weibo page. While there is nothing mentioned about the device. The teaser image shows a person looking in to the sky holding a telescope. With the Find X, the company might introduce the ‘5x Dual Camera Zoom’ technology. The company first talked about this new technology at MWC 2017. For the 5x lossless zoom, the device will come fitted with periscope style dual cameras on the rear. With this kind of mechanism, the device will also be able to offer much better stabilization. This will also help in making the smartphones thinner than the other dual camera smartphones. If this comes out true, the Find X will sport wide-angle and telephoto sensors on the rear. The telephoto sensor will be placed at 90-degree angle and gets the light from the prism at the end. It works same like the periscope and gives more space for the telephoto sensor to offer better zoom and stabilization. Stay tuned on PhoneRadar for more details about the upcoming OPPO Find X smartphone. The post OPPO Find X Smartphone – Everything You Need To Know appeared first on PhoneRadar.